Just before Easter Weekend I was talking online with my good friend Lisa about some changes I wanted to do my blog. Over the last three years Lisa has helped me out numerous times with the behind-the-scenes-stuff on my blog. Often I’d have an idea of some changes I wanted on my blog, or an idea for a header…and Lisa would come to the rescue and sort out all the details! Talking online is something that is the norm for us…perhaps I should ‘back-track’ a bit. We met thru a mutual friend, a roommate of mine during my second year of university. She had been part of my roommate’s youth group during high school…and was her ICQ list. Me being nosy one day asked “Who is this Squidgee, person?”…and a friendship was born and grew through ICQ. Side Note: I’m hoping other people remember that chat program. It always brings back memories for me of my early university days…until it just sort of ‘died’…I think that can be blamed on MSN Messenger! But remember those glorious “Uh-OHs” for me they were such a wonderful procrastination tool that helped me put off writing so many university essays. 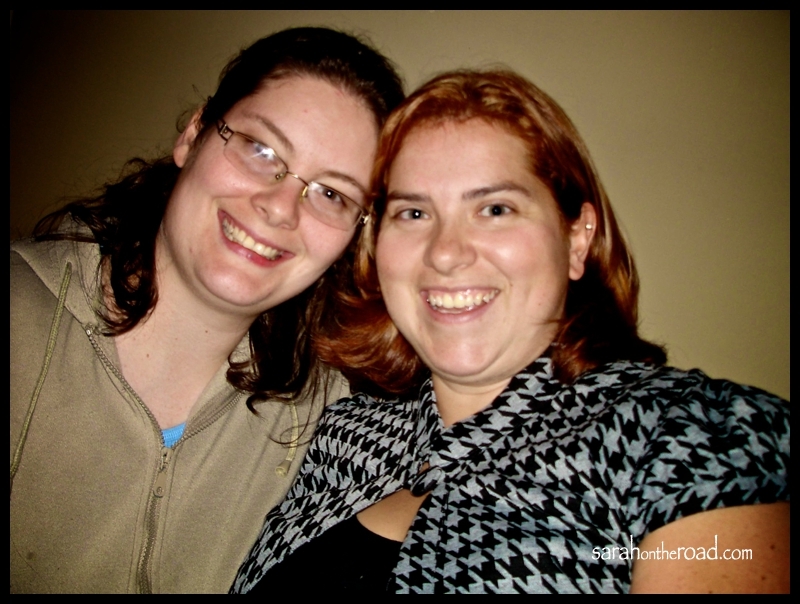 After chatting online for a bit…we finally met in-person… months later and have been friends ever since. She blogs over at Learning Titus 2 and The Canadian Homeschooler. She is a mom to three very active boys ages 8, 6 and 4! Here's a photos of us together...circa 2000.. When you are a blogger, live in the Arctic… often you will end up reading and looking at other people’s blogs. This might have left a bit of ‘blog-envy’…see there were a lot of features that I wanted for my blog. But every time I went behind-the-scenes to try to ‘change’ something on my blog format I’d run into a road block and wasn’t able to make the changes I wanted to make. During that Facebook Chat before Easter…Lisa mentioned the only way to make the changes I wanted…meant in a change of hosting. Lisa was the one that helped out with my blog’s switch from wordpress.com to wordpress.org. This change means I can ‘self-host’ my blog and have more ‘freedom’ with plugins and widgets. If you want more info about this…check it out HERE! The only other difference is I have to pay for the ‘hosting’ of my blog….but it was a reasonable price! Over the last 2 weeks I’ve been slowly working on some of the changes to my blog format. I say ‘I’ but really Lisa was the one that has done most of them. The changes have been slow in happening…some of them noticeable like adding the ‘linkwithin’ widget, have the ability to change fonts…and others are behind-the-scenes and a reader wouldn’t even notice the difference! One of the last changes Lisa helped with was with her mad photoshop skillz and created my new Spring HEADER! Thank you Lisa for tech-support with my behind-the-scenes stuff in blogging. Lisa is incredibly gifted in web design/photoshop stuff. If anyone else needs help with websites, blogging, photoshop etc… feel free to send her a message via her blog, Learning Titus 2. I’m thankful that you are part of my life Lisa. I’m glad that over the last 12 years despite living in different cities, provinces and countries…we have managed to stay connected! Your friendship means so much…thanks for being you. 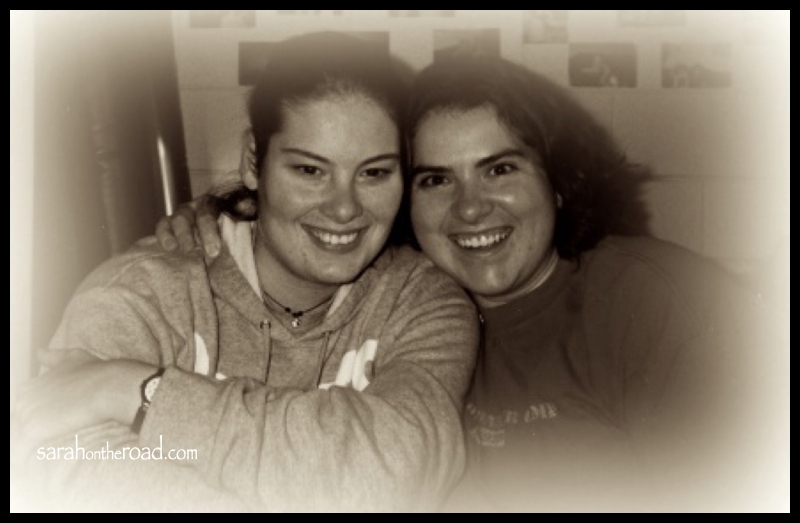 This entry was posted in Blogging Community, Friends on April 27, 2012 by Sarah on the Road. “ut-oh” right back at you…. why did we stop using ICQ anyways? uh oh! uh oh! uh oh! Get back to your essay Guffaw! Bahahahaha… but I want to PLAY, why are you studying? uh oh! uh oh! uh oh!